On his first album in four years, L.A.’s Aloe Blacc travels further from his hip-hop roots. Years ago, he was a rapper in the indie group Emanon and a sometime-vocalist; on Good Things, he’s working over arrangements from retro-soul combo Truth & Soul with heartfelt emotion. 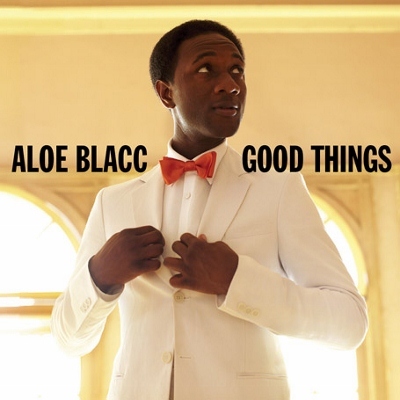 Unlike most rappers-turned-singers, Aloe Blacc has a great voice, which he uses to striking effect on “Take Me Back” and “Mama Hold My Hand.” The excellent Good Things teems with highlights, particularly the viral hit “I Need a Dollar,” where he impersonates a homeless drunk to offer commentary on the great recession. This entry was posted in Reviews, Short Cuts and tagged Aloe Blacc, Rhapsody, Stones Throw. Bookmark the permalink.